Is networking not the weirdest and grossest thing we do as professional adults these days? The more events I go to, the more it feels like we’re just swapping cards without swapping stories, trying to figure out how we can use each other for personal gain. 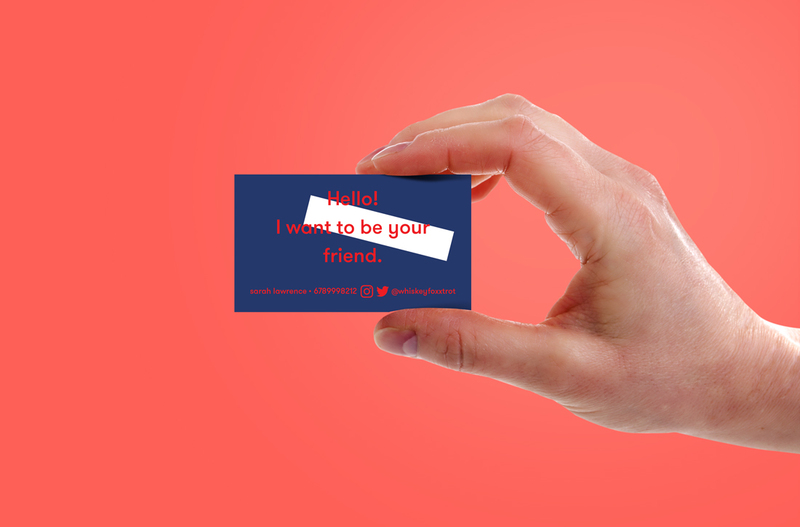 But there was always this weird gap—I’d meet someone awesome, want to genuinely get to know them better outside of a professional setting, and feel like handing them a business card was ultimately doing both of ourselves a disservice. 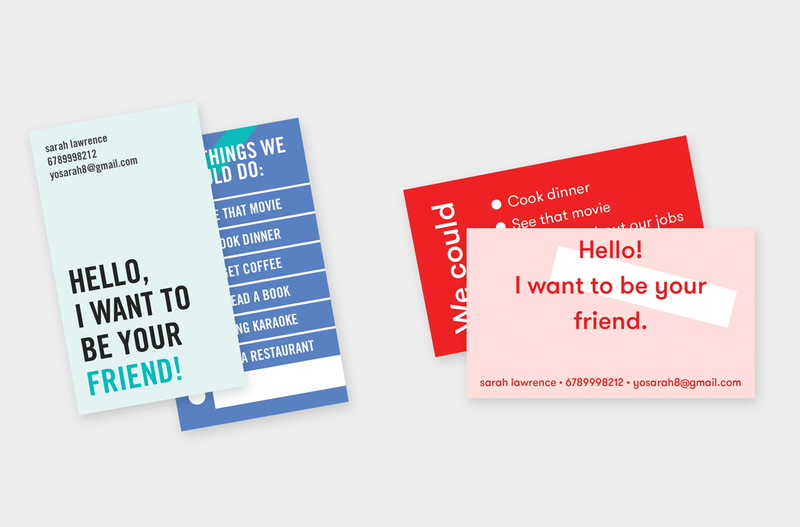 To deal with this, I started designing these friendship cards, these business cards that were more for the business of being friends with someone and less mutual (or sometimes one-sided) professional gain. Also, not to mention, making friends as an adult is tough! I feel like there are hundreds of articles out there aimed squarely at the people leaving college and realizing that, hey, it’s tougher to meet people when you have a more set routine and only see the same people every day. Like how all of this sounds? You’re in luck. These cards are available in my shop, able to be personalized to your heart’s content. Swap out your contact information of course, but are there things you’d love to with a new friend? Take these suggestions and fill in your own with a sharpie!